As is my custom, I announced my presence first by anchoring some containers with useful information at a distance from the ice field. Concord was on high alert, still patrolling the area where terrorists launched simultaneous attacks against Agent Tubrug1 just hours before. I knew I had to project confidence and calm to the good people of Elonaya. I declared that the New Order had taken the system, and that anyone who wished to purchase mining permits could do so for 10 million isk. 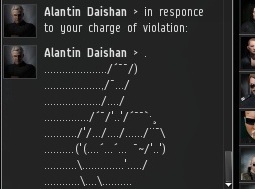 I immediately received an EVEmail from a miner who wanted to arrange payment for himself and his two alts. Within minutes of my arrival at Elonaya, I had sold my first three permits. This was a good omen. 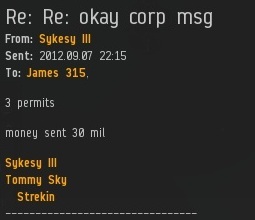 Then miner Sykesy III took it a step further, asking to purchase 40 million isk worth of shares in the miner bumping business. After the transaction was completed, he asked me for advice on how to fit a bumping stabber, so I directed him to this post. Miners, if want a role model for adjusting to the change we bring to your systems, look no further than Sykesy III. In an instant, rebellious miners were looking to organize opposition to the New Order. It was the same old story--miners thinking they would fare better than their counterparts in the other systems we have taken. 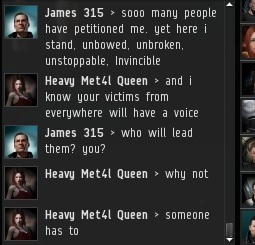 Rebel miner Heavy Met4l Queen stood up, identifying herself as a leader of the opposition. Having read the Lawers in Space post I linked, she understood that the New Order complies with the EULA. 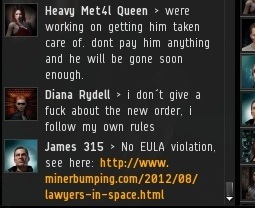 So she claimed she would have miners petition CCP to change the EULA, adding an anti-bumper clause. If only that passion could be directed toward something constructive, rather than something so futile. As other miners awoke from their AFK slumber to find their ships out of range, they took an interest in reading about the New Order. 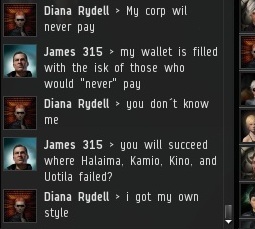 However, they were convinced that all of the 100+ shareholders of our noble enterprise are actually my alts. Others simply voiced their disapproval with the new rules. Clearly, there is much educating and healing to be done in Elonaya. Ah yes, Atlas Shrugged: that cautionary tale of the rise of the lumpenproletariat against the visionaries of the world. 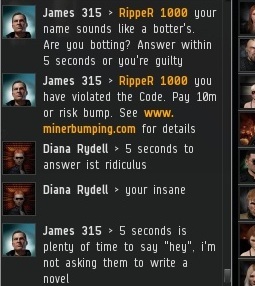 I've got a question for you, James. Well, technically, it's multiple questions, but let's not get specific now, shall we? If a Gallente pilot, who doesn't like travelling great distances wants to get into your business, how would such be received? Would a Gallente-space Agent be of any value to the New Order, and in case I would, will I still be free to mine all the ore I want, when I want, as long as I don't break the Code myself (that is, don't make myself look like a botter and don't mine excessive amounts of ore a day)? I know you might not like this kind of behaviour from one of your Agents, but I only want to help enlighten the oblivious High-sec Miners and in return, I ask that I am still allowed to mine the amount of ore I find myself in need of and nothing more. And lastly, how would you go about liberating an 0.9-system, when anchoring cans is impossible? I hope you will take your time to answer these few questions. If you want my help, I will start liberating the area where I live ASAP. 1. Yes, Agents are highly valuable even when they operate in faraway lands. 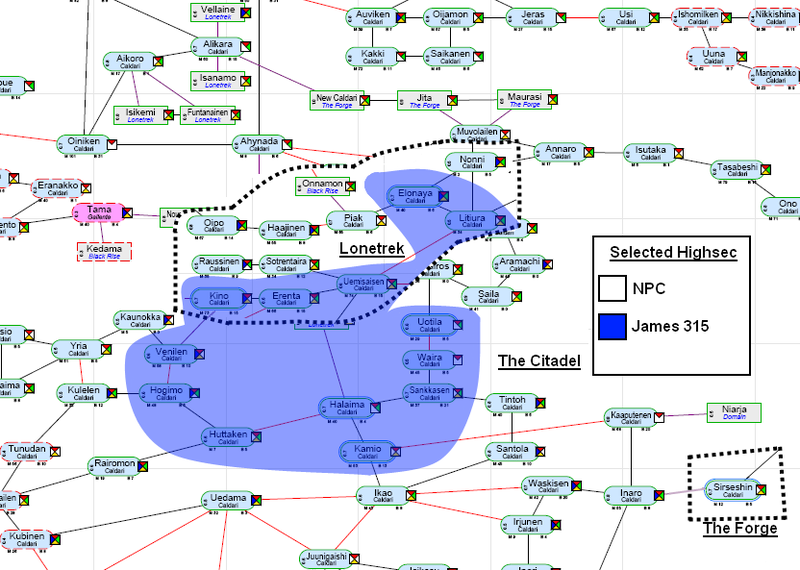 See, for instance, the September 3rd blog post titled "Our Man in Gallente Highsec". 2. Technically you would still need to pay 10 million isk to mine, however, someone who moonlights as a bumper even some of the time would be given a lot of slack I'm sure, especially when mining outside of New Order territory. 3. The cans are a gesture of goodwill to the miners to help keep them informed. They are not a necessity for enforcing the Code, however.